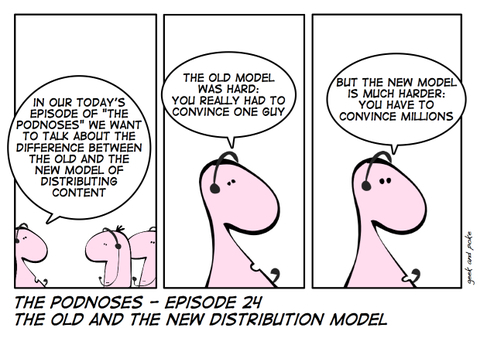 Nicholas Carr is - as always - sarcastic about the new model of content distribution. He writes about some thoughts from Ray Kurzweil. computer can create a high-quality, full-length motion picture." Nicholas, you're right. A pencil does not make a novelist. But there may be quite a few really good novelists out there. And now they have a good chance to get read. In the new model you have just to be good to be heard. In the old model you had to be lucky and/or to know the right person.